Designed in Britain, the Spaced 360 is a seriously cool piece of audio design - both in the way it looks and how it sounds. As you can see, it's a long way from conventional as there are 3 visible speakers that project 360 degree sound. What you can’t see are 3 additional bass radiators hidden under the perforated metal body to provide additional bass kick. There's also some pretty slick electronics for signal processing there and a high capacity rechargeable battery that will give you around 12 hours of continuous and completely wireless replay. The Spaced 360 wirelessly connects quickly and easily to any bluetooth device - all smart phones, iPads, iPad touch and tablets. Play all your own music, stream, spotify and more. The first time we experienced the Spaced 360 I was immediately impressed by how fast and consistently it connected - much better than usual. 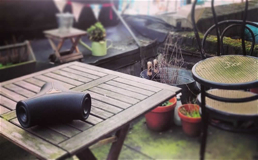 The sound is great - it's got more go than many other options but the real trick is the way it throws sound out - this is what makes it perfect for outdoor use where you can literally put it anywhere and everyone around it gets the same performance. No wires. no fuss. As well as obviously working via your iPhone there are controls on the top. And you can even plug in any non-bluetooth device like iPod Nano and Classic. 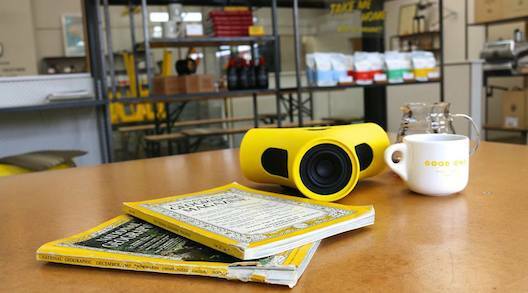 Make Spaced 360 your own - we've got a great selection of cool colored sleeves which not only make this speaker look much better, but they also protect the body looking like new no matter where you take it. Keep the music going though all the thrills and spills. "Hard rock, acoustic folk music and guitar-based pop sounded particularly good, thanks to a clear treble and high mid-range that really brought out amplified strings and female vocals, which can sound over-bright on some small speakers. The rich orchestral tones of Vaughan Williams' Norfolk Rhapsody filled the room beautifully, as did our euphoric trance test tracks. "Trusted Reviews. "The sound quality of the Spaced360 is excellent. The speaker features patented airSOUND technology, which claims to be 'the next generation after stereo', and the clarity is top notch. Tiny details in songs are clearly audible, and the speaker also has a strong and punchy bass.The Spaced360 sounds good at all volumes, and can go offensively loud if you want it to. The speaker also lives up to its name, providing consistent sound quality no matter where you are positioned in relation to it – so if you are sitting in the middle of a group of friends, everyone will hear the same sound quality." "Seemingly no matter where you place the Spaced 360 you will always get rich and clear sound.Bluetooth speakers really don't come much more stylish and innovative as the Spaced 360, so if you're looking to truly stand out from the crowd, this is the one for you." The Testpit. "I wanted to buy the Bose SoundLink III, purely because I know the brand and their reputation, but was advised to consider looking at the Spaced360 too. I played several different songs (of different genres) through both speakers at full volume, and the Spaced360 easily came out on top. The sound was clearer, louder, and with a much richer tone. It can handle the high notes whilst also making sure there is a really meaty bass (obviously it works well at quieter volume levels too!)". "Bought it at the weekend - having gone to buy similar product we heard this and were amazed and the sound that came out and decided to purchase. So easy to set up at home and easily connected to the NFC on our phones and by bluetooth via the ipad. tried it in the garden and as our garden is large and both to the side and back it was ideal - cant wait to try out when we have a BBQ or party! Definately will give the teenage boys next door a run for their money on the sound front. Easy to pick up and move around with a neat little docking station to charge on. As another reviewer said - it's great that this is British!" It is amazing and how on earth does it produce THAT much sound for the size???? Incredible. I took it outside on Sunday for a BBQ and it could not have been more perfect for the sound, the clarity, the 360 degree sound and the occasion. Wonderful and my neighbours want one too now! Well done to this company for such an awesome product. "The Spaced360 looks good but that nothing to how it sounds. 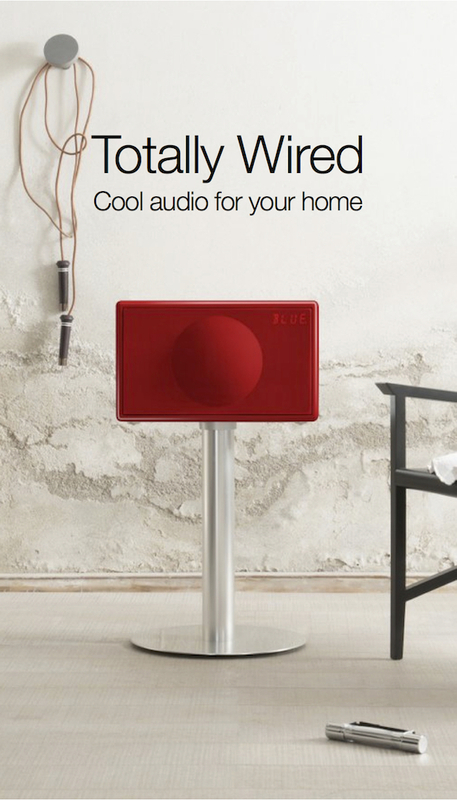 There isn't a bluetooth speaker that comes close to being in the same leauge. The price may seem high but it's well worth it for what you get. I can happily run mine on battery for over 8 hours, it follows me into the kitchen, garage or garden, wherever I'm working. I'd highly recommend it". 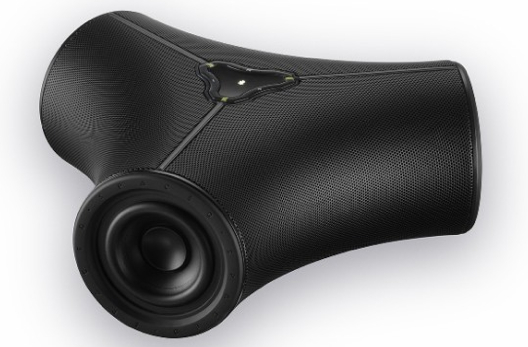 The Orbit Sound Spaced 360 Portable speaker system $499 including GST - choose black or grey finish. Coloured protective sleeves $49 each. Open Monday to Friday 10am to 5:00pm, Saturday 10am to 1pm.